Miss San Pedro contestants at Hotel Los Cocos, Chetumal. 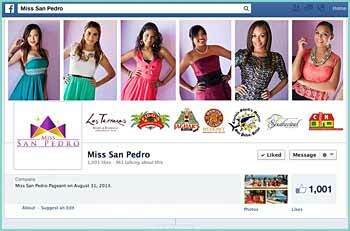 Miss San Pedro Pageant on August 31, 2013. The girls were interviewed and photographed by a reporter from the Diario de Quintana Roo on their visit to Chetumal.